Last time, we were taking a look at the early years of Quentin Tarantino’s theatrical releases. This week, we’re skipping ahead to the late 2000s. No longer is Tarantino a blue chip talent, he’s an institution. Pulp Fiction has changed the industry, Jackie Brown and Kill Bill have shown us that Tarantino loves lavishing his favorite genres with his signature dialogue and style until they become something great, and just having his name attached to a movie makes it an event that has to be paid attention to. Now it’s 2009, and his newest film is an extremely fictional take on World War II, taking place in Nazi-occupied France and gaining the usual mix of critical praise and generating controversy about its content. Inglourious Basterds was my first real taste of Tarantino; I’d seen parts of Kill Bill but was never really able to process it. 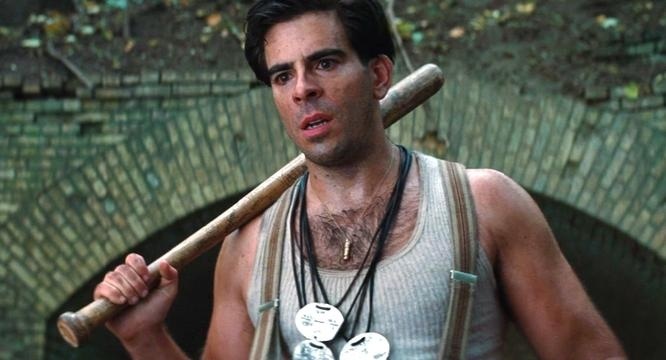 But Basterds came out when I was nineteen and thus free to seek the movie out for myself, and I was enraptured by it. A full decade later, having watched almost all of Tarantino’s ouvre and finding myself somewhat disenchanted as the years go by, how does Inglourious Basterds hold up for me? Pretty spectacularly, actually. This would be a very long article if I listed everything that’s great about this movie. But let’s get some things out of the way that apply to pretty much every Tarantino film. The cinematography is stylish, the soundtrack is memorably used, the late Sally Menke’s editing is top notch, the sequence of events is easy to follow even though it’s not in chronological order, there’s several good performances, a nice balance of dramatic tension, dark humor and explosive violence, and Tarantino’s signature dialogue that remains as captivating and quotable as ever. Tarantino is one of the great writer-director’s of the last thirty years and by this point you expect a certain level of base quality to be present even in his lesser films. Inglourious Basterds is no exception. The plot is tightly focused, with the stakes established early on: Adolf Hitler, Joseph Goebbels and several other high ranking Nazi officials are attending a private screening of Nation’s Pride, a propaganda film. This makes the event a prime target of the Basterds, a team of Jewish American guerrilla fighters led by Aldo Raine, who have been making life hell for any Nazis they come across. Unbeknownst to either party, the theater is owned by a Jewish woman who has successfully hidden her identity, and plans to use the situation to gain her very personal revenge. Both plots to kill Hitler have one major obstacle: Hans Landa, a shrewd detective and head of the S.S. who is assigned to security for the event. With the end of World War II in the balance, whose plan will succeed? Well, if you haven’t seen the film, now would be the time to do so, because the rest of this will be quite spoiler heavy. Obviously, Inglourious Basterds is about as historically accurate as Captain America: The First Avenger, but to me that’s not a detriment. This is a bloody revenge fantasy of Tarantino, an imagined world where recent history’s most notorious scumbags are hoisted upon their own petard, treated to the cruel violence they inflicted on others. For me, it’s a lot of fun to hear Aldo Raine give his team their mission statement, and to watch the Basterds at work once they get to Nazi-occupied France. I could watch the clip of Donnowitz riddling the corpse of Hitler every day and it would put a smile on my face. While sanguinous carnage isn’t my cup of tea all of the time, I’m pretty much always up for it when it comes to genocidal fascists and those who happily follow them. 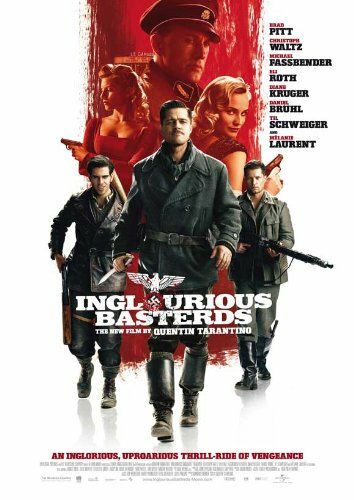 But while this aspects makes Inglourious Basterds fun to watch, it isn’t what makes it a great movie. What makes it a great movie is tension. Tarantino has proven himself a master of suspenseful conversation many times over. He loves putting characters capable of great violence together in a combustible situation and having them try to negotiate their way out of it. This film makes spectacular use of this trope, to the point where you start to get a sense of dread every time characters sit down at a table to talk. Violence seems inevitable, and it often is. The opening scene and the disastrous meeting with Bridget von Hammersmark end in tragedy. But what sticks with is the relief that comes when things don’t end poorly; Shoshanna’s breakdown when Hans leaves her table without revealing her identity is a pitch perfect moment of her being the avatar for the audience. And of course, there’s the film’s climax where things look like they are going very badly and Tarantino swerves us with an out of nowhere twist involving Hans Landa. Speaking of Hans, the film just would not be the same movie without Christoph Waltz and his interpretation of this character. Hans Landa is one of the great movie villains of recent times, a terrifying man who represents the banality of evil, a man who excuses his atrocities as just doing his job, and who believes that one moment of selfish preservation can make up for years of murder. Waltz is a great actor who commands our attention, who charms us as he horrifies us. Tarantino has stated that he felt he’d made a character too difficult to play, and that the casting of Waltz gave him his movie back. It’s hard to disagree with him on either front; Waltz deserved to win this Best Supporting Actor Oscar, and Hans Landa is probably the most memorable character that Tarantino has ever created. Since it might be prudent to remind everyone, I’ll just state that just because an issue is addressed here doesn’t mean that it ruins my experience with a film. 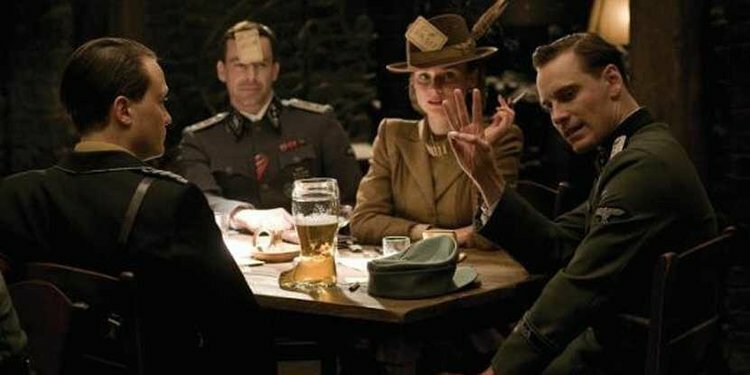 I love Inglourious Basterds to death and while I can acknowledge that it makes a couple missteps, nothing is going to make me stop loving it. So with that said, there’s been quite a bit written about how this film handles its Jewish characters: some critics consider them to be underwritten, a complaint that I find valid. And some critics consider the film to be turning the Jewish characters into Nazis by employing such barbaric tactics. I consider that hyperbolic. But as I’m not Jewish myself I don’t consider it my place to decide what is and isn’t offensive on that front. I imagine that some share my point of view that the rewriting of history is both joyous and cathartic. I can also understand those who find it to be offensive or exploitative, or question if Tarantino is really the person who should make a movie where Jewish Americans personally murder Adolf Hitler. It’s something to think about, certainly. While Pulp Fiction is undoubtedly Quentin Tarantino’s most important and influential film, I believe that Inglourious Basterds is his best. At the very least, it’s my personal favorite. The movie is gripping, exciting, full of tension and humor, and probably has his single greatest character in Hans Landa. The film commands your attention from the first scene and very rarely lets up. It’s full of great acting, somehow mixing quality ham with restrained performances. And while it may not be for everyone, I personally take great glee in watching Nazis get what’s coming to them, even if it’s far from the real life events. 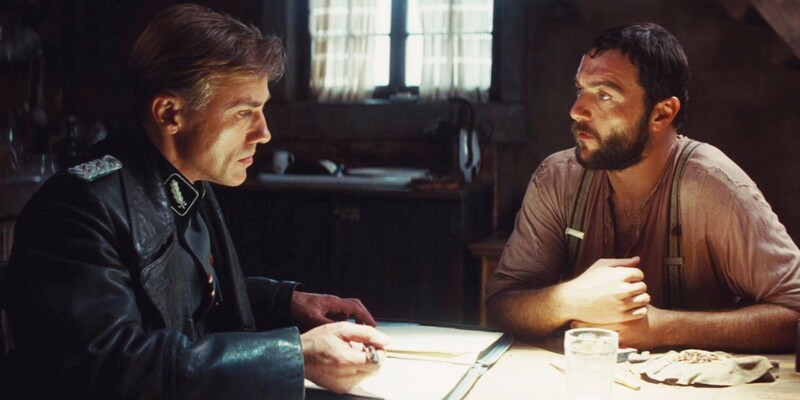 Sometimes fantasies need to be violent just so that we can properly get it out of our systems, and Inglourious Basterds is just what the doctor ordered on that front. I log reviews for every film I see, when I see them. You can see my main page here. Recent reviews include the wretched Fantastic Beasts: The Crimes of Grindelwald.